For the next few weeks we will be reading, analyzing, annotating, discussing, and writing narrative texts. Several skills are needed to be able to complete these tasks. Each skill will be broken down, modeled, practiced, and practiced again. Students will work as a whole class group, in pairs, and independently. Students will use multi-media sources as examples and guides. Several New York State Next Generation English Language Arts Learning Standards are essential in order to be able to accomplish the narrative writing assignments. These standards will be practiced while utilizing the selected poems, articles, videos, and photos in order to master these skills. 6W1: Write arguments to support claims with clear reasons and relevant evidence. 6W1a: Introduce a precise claim, acknowledge and distinguish the claim from a counterclaim, and organize the reasons and evidence logically. 6W1b: Support claim(s) with clear reasons and relevant evidence, using credible sources while demonstrating an understanding of the topic or text. 6W1c: Use precise language and content-specific vocabulary to argue a claim. 6W1d: Use appropriate transitions to create cohesion and clarify the relationships among ideas and concepts. 6W1e: Provide a concluding statement or section that explains the significance of the argument presented. 6W1f: Maintain a style and tone appropriate to the writing task. 6W2: Write informative/explanatory texts to examine a topic and convey ideas, concepts, and information through the selection, organization, and analysis of relevant content. 6W2a: Introduce a topic clearly; organize ideas, concepts, and information using strategies such as definition, classification, comparison/contrast, and cause/effect; 6W2b: Develop a topic with relevant facts, definitions, concrete details, quotations, or other information and examples; include formatting, graphics, and multimedia when useful to aid comprehension. 6W2c: Use precise language and content-specific vocabulary to explain a topic. 6W2d: Use appropriate transitions to create cohesion and clarify the relationships among ideas and concepts. 6W2e: Provide a concluding statement or section that explains the significance of the information presented. 6W2f: Establish and maintain a style appropriate to the writing task. 6W3: Write narratives to develop real or imagined experiences or events using effective techniques, descriptive details and sequencing. 6W3a: Engage the reader by introducing a narrator and/or characters. 6W3b: Use narrative techniques, such as dialogue and description, to develop experiences, events, and/or characters. 6W3c: Use a variety of transitional words, phrases, and clauses to convey sequence and signal shifts from one time frame or setting to another. 6W3d: Use precise words and phrases, relevant descriptive details, and sensory language to convey experiences and events. 6W3e: Provide a conclusion that follows from and reflects on what is experienced, observed, or resolved over the course of the narrative. 6W4: Create a poem, story, play, art work, or other response to a text, author, theme, or personal experience. 6W5: Draw evidence from literary or informational texts to support analysis, reflection, and research. Apply grade 6 Reading standards to both literary and informational text, where applicable. 6W6: Conduct research to answer questions, including self-generated questions, drawing on multiple sources and refocusing the inquiry when appropriate. 6W7: Gather relevant information from multiple sources; assess the credibility of each source; quote or paraphrase the data and conclusions of others; avoid plagiarism and provide basic bibliographic information for sources. 6SL1: Engage effectively in a range of collaborative discussions with diverse partners; express ideas clearly and persuasively, and build on those of others. 6LS1a: Come to discussions prepared, having read or studied required material; draw on that preparation by referring to evidence on the topic, text, or issue to probe and reflect on ideas under discussion. 6SL1b: Follow norms for collegial discussions, set specific goals and deadlines, and define individual roles as needed. 6SL1c: Pose and respond to specific questions with elaboration and detail by making comments that contribute to the topic, text, or issue under discussion. 6SL1d: Consider the ideas expressed and demonstrate understanding of multiple perspectives through reflection and paraphrasing. 6SL2: Interpret information presented in diverse formats (e.g., including visual, quantitative, and oral) and explain how it relates to a topic, text, or issue under study. 6SL3: Delineate a speaker’s argument and specific claims, distinguishing claims that are supported by reasons and evidence from claims that are not. 6SL4: Present claims and findings, sequencing ideas logically and using relevant descriptions, facts, and details to accentuate central ideas or themes; use appropriate eye contact, adequate volume, and clear enunciation. 6SL5: Include digital media and/or visual displays in presentations to clarify information and emphasize and enhance central ideas or themes. 6SL6: Adapt speech to a variety of contexts and tasks, demonstrating command of formal English when indicated or appropriate. 6L3: Use knowledge of language and its conventions when writing, speaking, reading, or listening. 6L3a: Vary sentence patterns for meaning, reader/listener interest, and style. 6L3b: Maintain consistency in style and tone. 6L4: Determine or clarify the meaning of unknown and multiple-meaning words and phrases, choosing flexibly from a range of strategies. 6L4a: Use context (e.g., the overall meaning of a sentence or paragraph; a word’s position or function in a sentence) as a clue to the meaning of a word or phrase. 6L4b: Use common, grade-appropriate Greek or Latin affixes and roots as clues to the meaning of a word (e.g., audience, auditory, audible). 6L4c: Consult reference materials (e.g., dictionaries, glossaries, thesauruses) to find the pronunciation of a word or determine or clarify its precise meaning or its part of speech. 6L4d: Verify the preliminary determination of the meaning of a word or phrase (e.g., by checking the inferred meaning in context or in a dictionary). 6L5: Demonstrate understanding of figurative language, word relationships, and nuances in word meanings. 6L5a: Interpret figurative language, including personification, in context. 6L5b: Use the relationship between particular words (e.g., cause/effect, part/whole, item/category) to better understand each of the words. 6L5c: Distinguish among the connotations of words with similar denotations (e.g., stingy, scrimping, economical, unwasteful, thrifty). 6L6: Acquire and accurately use general academic and content-specific words and phrases; apply vocabulary knowledge when considering a word or phrase important to comprehension or expression. Remember at the beginning of the year, you discussed what made a real life super hero? Who are some heroes in your life? Students will engage in different forms of text and video to distinguish the different steps in a Hero’s Journey. Students will use a modified Hero’s Journey to write their own essay. What are the different steps in a Hero’s Journey? How do you effectively write and create a hero’s journey? Who are some of the heroes in your life? What ‘hero’s journey’ have you been on? Has anyone else that you know been on one? How can you take the lesson learned from writing your own narrative and apply it to your life? All of the activities and articles in this packet are to be completed. This will assist students in their essay later in the unit. Students will watch https://www.youtube.com/watch?v=LUngH-qQGAk and identify different themes throughout disney movies. Students will have the chance to brainstorm some ideas that they might want to use in their narrative essay. We will pause along various parts of the story to discuss the meaning behind the words, what is the theme, and what are some of the main points along the journey? Homework, Friday, November 2, 2018: Page 12: Hero’s Profile - think about your main character (hero) in the story. What does he or she look like? Draw and write down your ideas. Miss Morris will model an example with the story of Rapunzel in Tangled. Once we have gone through the Modified Hero’s Journey, students will flip to page 11 of their packet. This page addresses questions that they should be thinking about as they begin to form their thoughts and ideas about the essay. Page 12: Hero’s Profile – think about your main character (hero) in the story. What does he or she look like? Draw and write down your ideas. Homework, Monday, November 5, 2018: Finish pages 14 and 15 if not done in class. Finish pages 14 and 15 if not done in class. Homework, Tuesday-Tuesday, November 6-13, 2018: Completed essay is due at the beginning of class on November 13 for peer editing. Essay is due on November 13th. Students will then move around the room and peer edit each other’s work. Sixth Grade ELA Module One, Unit 3: Myths: Not Just Long Ago. **Please note: Module One, Units 1 and 2 are being utilized in Mrs. Smith's reading class. Unit 3 is the writing portion of Module One. ELA Module One, Unit 3: The Lightening Thief, written by Rick Riordan. I can explain what an archetype is. I can explain how different stories follow the hero's journey archetype. I can plan my own hero's journey archetype. Unpacking the Learning Targets: As a class we will discuss the learning targets of the lesson. As a class read "Module 1: The Hero's Journey." Look at the graphic organizer: Narrative Story Line- Hero's Journey. How does the Lightening Thief and Percy Jackson fit into this graphic organizer? I can explain the Hero's Journey Rubric and how it will help me create my best work. I can create a list of skills that I plan on working on as I create my own Hero's Journey. Homework: Fill out the graphic organizer, The Hero's Profile, page 12 (see below). Continue from where we left off on Lesson 1. As a class continue to read "The Hero's Journey." Before beginning work on the graphic organizers, read the questions found on page 13 of the students packet. My Hero's Journey, Questions to think about, part one. Students will work on filling out the graphic organizers: Differentiated Exit Ticket Scaffold, Hero's Profile found on page 12 of the student packet. This graphic organizer will be for a grade. You may complete the Narrative Story Line- "Hero's Journey" found on page 10 of the student packet for extra credit. Homework: Students will fill out the “Hero’s Journey Narrative: Plan Graphic Organizer," pages 20-21. Fill out only the first column (My Hero's Journey, Sequence of Events). Fill it out as if you were the author to "The Golden Key." How would the author of "The Golden Key" fill out that column? Classwork: Lesson 2: “The Hero’s Journey”: Analyzing a Model Narrative and Continuing to Plan a New Hero’s Journey Narrative. As a class, we will refer to the posted learning targets. We will discuss the vocabulary words found on the Prezi. Discuss how the learning targets link to the previous lesson and how what we are going to do today links to yesterday's lesson. As a class, we will read and analyze the model narrative "The Golden Key" found on page 17-18 in the student packet. -Who was the hero in the story? -What did she have to do? Why? -What happened at the end? In small groups, students will begin analyzing the model narrative "The Golden Key" as they fill out “Hero’s Journey Narrative: Plan Graphic Organizer." Fill out only the first column (My Hero's Journey, Sequence of Events). Fill it out as if you were the author to "The Golden Key." How would the author of "The Golden Key" fill out that column? Homework: Fill out the questions (1-8) on page 13 of your workbook. Fill the questions out on loose-leaf or in your writing notebook. Students will begin to fill out the questions (1-8) on page 13 of your workbook. Fill the questions out on loose-leaf or in your writing notebook. As a class, we will discuss our analysis of "The Golden Key." In small groups, students will continue to analyze and annotate "The Golden Key" using the informational "The Hero's Journey" text directing our attention to Act 1, Act 2, and Act 3 (found on pages 7-9 in the student packet). Homework: Students will document their ideas onto the "Hero's Journey Narrative: Plan Graphic Organizer" found on page 20 in their workbooks. (An additional copy of the page 20-21 organizer was handed out in class.) This is to be handed in and is for a grade. The more details that are included the better. Students will spend the class period deep in thought as they "map out" the sequence of events and all the details of their hero's journey. Students will use the guiding questions on page 19 of their workbook (Questions to think about, part two) to generate ideas about their hero's journey. Students will begin to structure the ideas that have been written on the graphic organizers more formally onto an organizer that will facilitate turning the ideas into writing. Emphasis: The initial organizers were used for initial thinking and ideas. Students will now going to be thinking about how those notes and ideas can be used to write a narrative like "The Golden Key." Individually, students will fill out the middle column of the "Hero's Journey Narrative: Plan Graphic Organizer" found on pages 20-21 in the student packet. (An extra copy was handed out to each student on Monday.) Students will now fill this organizer out with ideas from their own story. This is for a grade! Homework: Three graphic organizers should be complete in the workbook (see below). These were assigned at an earlier date and should already be completed. Add notes and detail to these organizers. This will help you draft your narrative more easily. Students will listen as the document "The Key Elements of Mythology" informational text found on page 16 in the student packet is read aloud. Students will use "The Key Elements of Mythology" informational text "to determine which elements of myth and which significant theme they are going to communicate in their hero's journey narratives." Students will take a moment and star the theme (on page 16) that they want their story to follow. Based on any new thinking and learning, students will update, add to and revise the notes they have taken on all three graphic organizers. 3) The Hero's Journey Narrative: Plan Graphic Organizer, pages 20-21, fill out the Sequence of Events middle column as if you were the author of the Golden Key Model Narrative. Homework: Page 24, Mid-Unit assessment: Crosswalk between My Hero's Journey Narrative and "The Hero's Journey" Informational text. Essay due on Friday. Classwork: Lesson 3: Mid-Unit Assessment. Using page 24 from the packet as a guide, students will write an essay on loose-leaf to fulfill the mid-unit assessment task. "How does your plan for a hero's journey align with the archetype of "The Hero's Journey"? Students will use page 25 in the packet to help as the students write the essay. Each essay should be at least a page and a half on loose-leaf. Each essay should be at least five paragraphs. Classwork: Lesson 3: Establishing a Context for My Hero’s Journey Narrative. As a class we will go over the vocabulary words for Lesson 3. We will be learning about action verbs and sensory words by looking at "The Golden Key" example from the Module. We will be highlighting the parts in the text that has dialogue, sensory words, and strong verbs. Students will look at page 29 in their myth packet and we will discuss the strong action verbs. Students will change three verbs in "The Golden Key" to make them into strong verbs. Today in class we will go over the writing technique "Show, Don't Tell." This technique is used for making our writing more mature and developed. Students will begin writing their first draft of their Hero's Journey. Students write silently and quickly. Students will use their graphic organizers to help shape their story. Students will continue writing their Hero's Journey. Today we will be learning about dynamic and static characters. We will be taking notes on a PowerPoint we complete in class. We will take these notes in our packets. Today we will be learning about how to plot stories and the general outline of a story. We will discuss the following story plotting terms exposition, inciting incident, rising action, climax, falling action, resolution, and denouement as they relate to the Hero's Journey. Students will also be introduced to the assignment My Hero's Journey. Homework: Work on you Hero's Journey at home. Either continue typing and creating and adding to your story, or work on editing what you have already printed. Today in class we will outline our own personal Hero's Journey by creating a comic of the seven steps of the Journey. Students will draw their comics in their Hero's Journey packets. Students will have the opportunity to put dialogue into their Hero's Journey. Students will change at least three verbs in their Hero's Journey to strong verbs. Students will discuss what a conclusion is. Students will discuss what compelling means. Students will compare the lightening thief conclusion and The Golden Key conclusion. Students will use a graphic organizer to compare the two story conclusions. Students will complete a compelling conclusion anchor chart. The anchor chart can be found on page 34 in their Module 1, unit three Hero's Journey packet. Students will edit their Hero's Journey narratives if their is more time at the end of class. Today in class we will have a short lesson about dialogue (see PowerPoint below). We will use the remaining time to work on our essays and conference about our progress. After watching this video to focus our minds on writing, students will have the rest period to work on outlining their Hero's Journeys. Students will continue working on their Hero's Journey Narrative. Students should be done writing most of the Hero's Journey Narrative by the end of today besides the conclusion. Students will continue to write their Hero's Journey Narrative. Students should be finished writing their conclusion today so they can edit their work tomorrow. Homework: The final copy of the Hero's Journey Narrative is due Friday morning at 8:00am. Great work, Writers! Students will finish editing their Hero's Journey Narrative. Students will re-read their Hero's Journey Narrative over and over again until they think it is perfect. Students will print off a final copy of their Hero's Journey Narrative to turn into class tomorrow. Students will share their Hero's Journey Narrative in front of the class. Each student will read their narrative to the class. Students will be respectful to their fellow peers. Homework: Start working on the final draft of your Hero's Journey story which is DUE FRIDAY!! Today in class we will be peer editing our Hero's Journey drafts. We will be assessing each others' drafts based on the Hero's Journey rubric. Please note: the following are notes that I am writing for my own information. This note is not edited. This is a rough draft. WORK ON REVISION AND SELF EDITING AND SELF EVALUATION. WHAT CAN YOU DO TO MAKE THHIS THE BEST WRITING YOU CAN DO. TAG: TELL SOMETHING YOU LIKE, ASK A QUESTION, GIVE A SUGGESTION. RED DOT, GREEN DOT. BERRY LANE: REVISORS TOOLBOX. ******** LOOK ON AMAZON. link to art: create a trading card about the greek god. use tag board. Supplement: core knowledge...on modules engage ny grade 2 listening and learning strand has background knowledge on greece. before i start the unit. As soon as the student teacher is done, be sure to give a NYS writing test to evaluate the students' test-taking writing skills!!!!! Use Shackelton's Stowaway and Caverns of Blue Ice. Give them the test as a pretest and then go through the entire test together. Have students rewrite their answers for a different grade. Give them two grades for that essay. Then give the students a different NYS test to reevaluate the situation. Today we will be getting a visit from our librarian Ms. Z! She will be talking about the Hero's Journey archetype and Star Wars! This will help introduce our next unit on the Hero's Journey. Homework: Finish the first column on your Hero's Journey packet. Today we will go over a shortened/abridged version of the Hero's Journey we discussed with Ms. Z yesterday using the Wizard of Oz, Harry Potter, and The Lion King. Students will be taking notes in our Hero's Journey packets as we go over the PowerPoint. Homework: Finish filling out the Hero's Journey organizer if not finished in class. Today in class we will be reading the story The Golden Key as a class and in small groups. After reading the story twice students will fill out the Hero's Journey graphic organizer (see document two days above) with information from the story. Homework: Finish filling out the Hero's Journey organizer for Journey to the Underworld if not finished in class. Today in class we will watch a video clip from the myth of Orpheus and Eurydice to introduce the story we're going to read. We will then read the story Journey to the Underworld as a class and then in small groups to fill out the Hero's Journey organizer in their packets or attached below. If students do not finish the Hero's Journey organizer, it is for homework. We will also be doing a writing exercise where students choose a sentence from the PowerPoint and rewrite it so that it is more descriptive and utilizes "Show, Don't Tell." Homework: Write at least 10 dynamic and 10 static characters on our T-charts in our packets. Homework: Students will complete the character description sheet in the Hero's Journey Packet. Homework Due Friday, October 2, 2015: Finish your Hero's Journey outline. Homework: Finish revising your Hero's Journey outline. Today in class we will be revising our outlines in class and beginning to work on our Hero's journey stories. ELA.CC.6.W.3: Write narratives to develop real or imagined experiences or events using effective technique, relevant descriptive details, and well-structured event sequences. ELA.CC.6.W.5: With some guidance and support from peers and adults, develop and strengthen writing as needed by planning, revising, editing, rewriting, or trying a new approach. Today in class we will continue to outline our own personal Hero's Journeys by creating a comic of the seven steps of the Journey. Students will draw their comics in their Hero's Journey packets. Homework: Work on Hero's Journey essay/story. THE FINAL DRAFT WILL BE DUE FRIDAY OCTOBER 16TH! Today in class we will have a full period to work on our Hero's Journey stories. The teacher will conference with half of the class about their progress on their stories. Homework: Finish first draft of Hero's Journey. The teacher will conference with the other half of the class about their progress on their stories. Homework: ​Finish first draft of Hero's Journey story. Today we will be taking beginning of the year baseline assessments. i. ELA.CC.6.W.3: Write narratives to develop real or imagined experiences or events using effective technique, relevant descriptive details, and well-structured event sequences. ii.ELA.CC.6.W.5: With some guidance and support from peers and adults, develop and strengthen writing as needed by planning, revising, editing, rewriting, or trying a new approach. Homework: FINISH YOUR HERO'S JOURNEY FINAL COPY! It must be on loose leaf paper! Today we will have a work period to work on finishing our final drafts of our Hero's Journeys. Students should be incorporating the feedback they received from their peers yesterday into their stories. Today in class we will be sharing our completed Hero's Journeys in small groups. Homework due Monday: Get agenda signed. Bring in paperwork filled out by parents. Classwork, Friday: "Wave Your Flag," by K'naan. LEARNING TARGET: I can create a list of themes found in the song "Wave Your Flag." 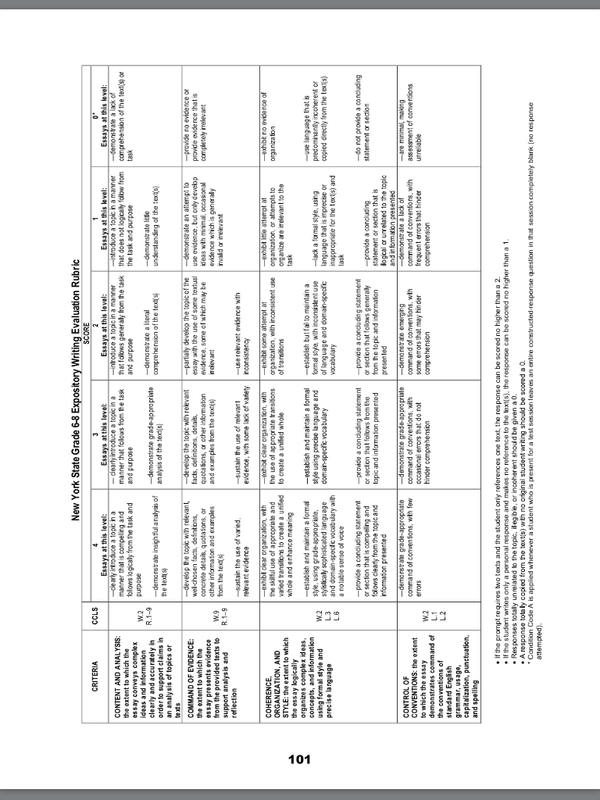 Using the NYS rubric, students will self-assess the beginning-of-the-year writing assessment. Goals: students will write their writing goals on paper to be displayed outside the classroom. WEEK OF MONDAY: Finding the theme of the song "Hall of Fame." Classwork, Monda: Discussion and annotation of the theme of the song "Unwritten," by Natasha Bedingfield. I can write a heading using the MLA format. I can highlight key words as I read the directions. I can highlight the key tasks as I read the directions. I can annotate the lyrics of a song. I can infer the theme of a song. I can create a list of themes found within the song. I can write a claim to guide my essay. As a class we will read the directions for our assignment and highlight key words. As a class we will read the directions for our assignment and highlight key tasks. After having listened to the song another time, students will determine what the theme of the song is. As a class we will talk about what "theme" is and how to find the theme. Mrs. Looney will begin modeling how to read each line of the song and annotate the song. In partners, students will reread the remainder of the song each line one at a time. In the margins of the song, students will annotate as they discuss the theme of the song. How do we prove the "theme" of this song? What is our "claim" of our essay? How do we prove our claim is correct? Introduce the RACE Organizer. Please click HERE to get to the RESOURCE PAGE for additional copies of the RACE Organizer. Which lines of the song stand out to you as evidence to support your claim? Each person will choose two parts of the song that are evidence to support their theme. Highlight at least two parts of the song. Be able to explain why the chosen parts are evidence to support your claim. If the partners do not finish rereading each line, students will finish the annotation for homework and will highlight two lines of the poem support their claim. What does this song mean to you? What does it make you think about? How does this song help you to think about your dreams, goals, and hopes? Individually, we will begin to think about the goals, hopes, and dreams we aspire to in our lives. In the students' writing notebooks, students will begin to write down their goals, hopes, and dreams. Each students' list should contain at least five items. Be sure to write the date on the top of the notebook page. Be sure to add a heading for your list at the top of the notebook page. Questions to think about: Do I want to go to college? Which colleges to I hope to attend? What do I want to do with my life? Is there someplace special that I wish to visit? Where do I want to live when I get older? What have I always wanted to do with my life? Classwork, Tuesday: Discussion and annotation of the theme of the song "Unwritten," by Natasha Bedingfield. I can define the meaning of "theme." I can list examples of themes found in songs and books. Homework due Thursday Finish annotating evidence that proves the theme of the song "Unwritten," by Natasha Bedingfield. Be sure to highlight two lines of the poem support their claim. Get agenda signed. Classwork, Wednesday: Discussion and annotation of the song "Unwritten," by Natasha Bedingfield. As a class we will continue to talk about what "theme" is and how to find the theme. As an introduction to the class we will watch a very short clip from the video The Lie We Live. We will begin at 6:40. Students will see and hear a different perspective of a similar theme. What are some examples of themes of this song? What lines "prove" the theme of the song? Students will put "stars" by the words or lines that they think support the theme of the song. Homework due Monday: The outline is due on Tuesday in your writing notebook. See the handout below for suggestions. Using my annotations, I can infer the theme of a song. I can plan an essay while creating an outline. I can read, annotate, and understand directions. I can choose three quotes to support my claim. As a class, we will review the task of the essay and review examples of the theme. What are some examples of themes found in this song? Mrs. Looney will model the process of writing an outline. We will begin our outline by reading, annotating, and understanding the directions. Which lines of the song stand out to you as evidence to support your claim? Each person will choose three parts of the song that are evidence to support their theme. Highlight at least three parts of the song. Be able to explain why the chosen parts are evidence to support your claim. Students will create an outline to guide their writing. They may use the Outline Handout found below to help them write their outline. A GRADE WILL BE GIVEN FOR THE QUALITY OF THE INFORMATION INCLUDED IN THE OUTLINE. Students will begin to write an outline for their essay in their notebooks. The outline is due on Monday, September 19. The essay is due on Friday, September 23, 2016.
: completing our outlines, creating a rubric, and writing an essay. Homework due Tuesday The outline is due tomorrow, Tuesday in your writing notebook. See the handout below for suggestions. Your rubric is due on Wednesday,1. Work on "Unwritten" Essay. Essay is due on Friday. I can write an essay using the RACE Organizer. I can use the RACE Organizer Rubric as an example of what my rubric could look like. I can use the RACE Organizer Rubric to assess my work. I can create my own rubric to assess my work. As a class we will go over the homework from the night before. Each student will look at his or her outline and compare the outline to the check list. Students will have a few minutes to improve their outline and jot down more ideas. If students have not completed their outline they may work on it a bit in class. Students will create their own rubric to assess their work. Students will begin to type their essays on Tuesday. Students are expected to work on their essays for homework. Students will email their work so they can work on it at home. Students will type their essay. Essay is due Friday. Be sure that your spelling, grammar, and punctuation are correct. Be sure to use descriptive, creative sentences. Be sure to choose sophisticated words in your writing. Please refer to the expectations handout to be sure you are reaching our expectations. For example, each student will write a heading which will follow the MLA format. The outline was due Tuesday, in your writing notebook. See the "Unwritten" Outline handout found above for suggestions. This is for a grade. You cannot begin your essay without completing your outline. You may create a rubric to assess your work for extra credit. See me if you wish to create a rubric. Work on "Unwritten" Essay. Essay is due on Friday, September 23, 2016. Essay is to be typed. If you cannot finish typing the essay before it is due, you may finish your work on looseleaf. The goal is to have everyone type their essay and hand it in on Friday by 3:00. Students will begin to write their essay, utilizing the outline. Students are expected to work on their essays for homework. Students will type their essay on at least one entire side of a sheet of paper. Please refer to the expectations handout to be sure you are reaching our expectations. For example, each student will write a heading which will follow the MLA format. You will receive extra credit if you use MLA format to cite your sources. See the packet for guidance. I can explain the meaning of "plagiarism." I can explain why using quotes as evidence is not plagiarism. If the outline was not complete for homework, it will be difficult to complete the essay. Before students begin to write their essays, we will have a discussion about plagiarism. We will discuss the importance of using quotation marks when using someone else's words. Homework Due day: Finish assessing "Luke's" essay. I can assess Luke's essay using the adapted NYS rubric. As a class we will read the passage Beyond the Twilight Zone. After reading, students will break into pairs and read an essay by "Luke" about the passage. In pairs, students will assess the essay based on the Adapted NYS 5th and 6th Grade Writing Rubric. If not finished in class, assessing "Luke's" essay will be for homework. Students will be receiving a packet on this day with all of these documents. In class we will be going over a PowerPoint that goes over the rubric from yesterday in detail. Today in class we will revisit the notes we took and discuss what those notes should look like. Then students will read the essay by Addison and give it a grade using the rubric. WORK ON REVISION AND SELF EDITING AND SELF ASSESS. WHAT CAN YOU DO TO MAKE THHIS THE BEST WRITING YOU CAN DO. Homework Due Thursday: Finish the first column on your Hero's Journey packet. ELA.CC.6.RL.3: Describe how a particular story’s or drama’s plot unfolds in a series of episodes as well as how the characters respond or change as the plot moves toward a resolution. ELA.CC.6.W.3a: Engage and orient the reader by establishing a context and introducing a narrator and/or characters; organize an event sequence that unfolds naturally and logically. Homework Due Friday: Finish filling out the Hero's Journey organizer if not finished in class. ELA.CC.6.RL.5. Analyze how a particular sentence, chapter, scene, or stanza fits into the overall structure of a text and contributes to the development of the theme, setting, or plot. Homework Due Monday: Finish filling out the Hero's Journey organizer for Journey to the Underworld if not finished in class. ELA.CC.6.RL.4: Determine the meaning of words and phrases as they are used in a text, including figurative and connotative meanings; analyze the impact of a specific word choice on meaning and tone. ELA.CC.6.W.3d: Use precise words and phrases, relevant descriptive details, and sensory language to convey experiences and events. Homework Due Wednesday: Write at least 10 dynamic and 10 static characters on our T-charts in our packets. Homework Due Thursday: Students will complete the character description sheet in the Hero's Journey Packet. Homework Due Friday: Finish your Hero's Journey outline. Homework Due Monday: Finish revising your Hero's Journey outline. Homework Due Wednesday: Finish comic page. Homework Due Thursday,: Work on essay. Homework Due Tuesday: Finish first draft of Hero's Journey. Homework Due Wednesday: ​Finish first draft of Hero's Journey story. Homework Due Thursday: Start working on the final draft of your Hero's Journey story which is DUE FRIDAY!! Homework Due Friday: FINISH YOUR HERO'S JOURNEY FINAL COPY! It must be on loose leaf paper! Homework due Wednesday: Get agenda signed. Please have parents fill out paperwork and return it to school to your homeroom teacher. Thank you! Classwork, Tuesday: First day of school! Welcome! Homework due Thursday Get agenda signed. Bring in paperwork filled out by parents and bring it to your homeroom teacher. Classwork, Wednesday: Beginning-of-the-Year Writing Assessment. Each student will complete the Beginning-of-the-Year Writing Assessment. Classwork, Friday: "Unwritten," by Natasha Bedingfield. We will continue with our beginning of the year discussions about expectations. In celebration of the wonderful first few days that we have had together, we will listen to an inspiring song written by Natasha Bedingfield called "Unwritten." "Natasha Anne Bedingfield (born 26 November 1981) is a British singer and songwriter. Bedingfield received a Grammy Award nomination for Best Female Pop Vocal Performance for the title track 'Unwritten'..." Taken from Wikipedia. Homework Due Tuesday: In your writing notebook, make a list of goals and dreams that you aspire to in your life. Get agenda signed. Bring in paperwork filled out by parents. Classwork, Monday: I'm in Charge of Celebrations, by Byrd Baylor. I'm in Charge of Celebrations, by Byrd Baylor. Mrs. Looney will read the book I'm in Charge of Celebrations, by Byrd Baylor. Homework Due Wednesday: Finish annotating the meaning of the song "Unwritten." Get agenda signed. Bring in paperwork filled out by parents. Classwork, Tuesday: Discussion and annotation of the song "Unwritten." As a class, we will listen to the song "Unwritten." Mrs. Looney will begin modeling how to read each line of the song and annotate the meaning of the song. In partners, students will reread the remainder of the song each line at a time. In the margins of the song, students will annotate as they discuss the meaning of the song. Which lines of the song stand out to you most? Each person will choose one of two parts of the song that mean the most to them. Be able to explain why that chosen part is important. If the partners do not finish rereading each line, students will finish the annotation for homework. Homework Due Thursday: OUTLINE for essay due tomorrow (Thursday). "Unwritten" ESSAY due Friday, September 12, 2014. Classwork, Wednesday: Begin writing the outline for the "Unwritten" Essay. The outline is to be written in your writing notebook. As a class, we will discuss some of the lines in the song. Which lines are the most important to you? Why? If there is time we will listen to the song "Hall of Fame" by The Script. What does this song mean to you? What does it make you think about? How does this song help you to think about your dreams, goals, and hopes? Students will look at the list of goals, hopes, and dreams. Students will add to this list. Students will write a one-page essay about the song "Unwritten" and how it pertains to their individual goals, hopes, and dreams. Mrs. Looney will model the process of writing an outline. Students will begin to write an outline for the essay that they will write in class tomorrow. The essay is due on Friday, September 12, 2014. BE SURE TO TEACH STUDENTS HOW TO WRITE AN OUTLINE!!!! Start with topic 1, topic 2, etc. Paragraph 1: Introduction Possibly use a quote from the song. Or ask a question. Or add one of the themes for this year. See the top of this webpage for examples of possible themes for the year. Paragraph 2: Explanation of a line from the song that is most important to you. Use direct quotations when writing the line from the song. Paragraph 3: Lead into some examples of goals, hopes, and dreams. Continue to weave some of your favorite lines from the song into this paragraph as it pertains to your goals, hopes, and dreams. Paragraph 4: Conclusion The conclusion is a recycling of your introduction. End with your favorite part of the song, or ask your question again or write the theme again. How well did you complete your outline? There should be four parts to your outline: Paragraph 1, Paragraph 2, Paragraph 3, and Paragraph 4. Give yourself 25 points for each part of your outline that answers all or some of the questions. Homework Due Friday: "Unwritten" Essay due Friday, September 12, 2014. Be sure to practice reading your essay at home as each student will read their essay to a partner. As a class we will go over the homework from the night before. Each student will look at his or her outline and compare the outline to the check list. Students will give themselves a grade for the completed homework assignment. Students will write their essay on one entire side of a sheet of loose-leaf. We are limiting this assignment to only one side of loose-leaf. Hand your story in on a clean, unwrinkled piece of loose-leaf. Please refer to the expectations handout to be sure you are reaching our expectations. For example, each student will write a heading which will include the student's name, the date, and the name of the assignment. (This assignment is called "Unwritten Essay.") The loose leaf paper is clean without any rips. The three holes are located on the left-hand side. The student's handwriting is neat. Homework Due Monday: "Unwritten" Essay due. Entire essay must be complete including the conclusion. This assignment is written in the writing notebook. Be sure to practice reading your essay at home as each student will read their essay to a partner. Classwork, Friday: Continue to write essay. Students will work silently and independently finishing up the first draft of the "Unwritten" essay. Students will refer to the essay directions, directions to the outline, to the lyrics of the song, to their outline, and to their list of hopes and dreams as the essay is written. See above for the pdf documents. Students will use their rubric to guide them. Students will use dictionaries and thesauruses to use as many sophisticated words as possible. Be sure to practice reading your essay at home as each student will read their essay to a partner. Homework Due Tuesday: "Unwritten" Essay due. Final copy of the essay must be completed on loose-leaf paper. Our goal is to write on two sides of loose-leaf paper. We will use special colored loose-leaf for this assignment. BE SURE TO HAND IN YOUR RUBRIC WITH YOUR ESSAY! FIVE POINTS WILL BE DEDUCTED IF YOU DON'T HAVE YOUR RUBRIC! EXTRA COPIES OF YOUR RUBRIC CAN BE PRINTED FROM THIS WEBPAGE. Classwork, Monday: Continue to write essay. Students will take the time to read over their essay and make any necessary changes. Students will read their essay out loud to themselves, making any necessary changes. Students will read their essay to a partner, making any necessary changes. We will hang up the essays on the bulletin board in the hallway. BE SURE TO HAND IN YOUR RUBRIC WITH YOUR ESSAY! FIVE POINTS WILL BE DEDUCTED IF YOU DON'T HAVE YOUR RUBRIC! EXTRA COPIES OF YOUR RUBRIC CAN BE PRINTED FROM THIS WEBPAGE. Classwork, Tuesday: Students will complete the beginning of the year grammar assessment. Homework Due Thursday: Complete the personal narrative small moment story that was started in class in your writing notebook. Classwork, Wednesday: Students will complete one personal narrative. Students may finish the story (personal narrative) that was hearted in class today or students may choose to begin a new story. Two personal narratives are due by Monday. Today's story is written in the writing notebook. Tomorrow in class, students will begin a different story on loose-leaf. Each story should be one-and-a-half to two sides of paper or more. Choose a person that is important to you in your life. Brainstorm and write a list in your writing notebook of all the small moment stories that come to your mind when you think of this person. This is one way to generate ideas for writing personal narratives. Choose one of the small moment stories on your list. Write a personal narrative. Write as much as you can, as fast as you can. Don't forget some of the ways to hook your reader in the introduction: question, sound (onomatopoeia), dialogue (speaking). Don't forget to add a conclusion to wrap up your story. You may write more than one story. Finish the story that you were working on in class today. Homework Due Friday: Work on the personal narrative small moment story that was started in class on loose-leaf. Classwork, Thursday: Students will complete another personal narrative. Students may finish the story (personal narrative) that was started in class today or students may choose to begin a new story. Two personal narratives are due by Monday. Today's story may be started in the writing notebook but must be handed in on loose-leaf. The story should be one-and-a-half to two sides of paper or more. Choose one small moment story idea and write a powerful personal narrative story. Our goal is to write at least a page and a half to two pages. While writing your personal narrative story, write as much as you can, as fast as you can. **Please note: Module One, Units 1 and 2 are being utilized in Mrs. Beckwith's reading class. Unit 3 is the writing portion of Module One. Homework Due Wednesday: Fill out the graphic organizer, The Hero's Profile, page 12 (see below). Homework Due Thursday,: Students will fill out the “Hero’s Journey Narrative: Plan Graphic Organizer," pages 20-21. Fill out only the first column (My Hero's Journey, Sequence of Events). Fill it out as if you were the author to "The Golden Key." How would the author of "The Golden Key" fill out that column? Classwork, Wednesday: Lesson 2: “The Hero’s Journey”: Analyzing a Model Narrative and Continuing to Plan a New Hero’s Journey Narrative. Homework Due Friday: Fill out the questions (1-8) on page 13 of your workbook. Fill the questions out on loose-leaf or in your writing notebook. Homework Due Tuesday: Students will document their ideas onto the "Hero's Journey Narrative: Plan Graphic Organizer" found on page 20 in their workbooks. (An additional copy of the page 20-21 organizer was handed out in class.) This is to be handed in and is for a grade. The more details that are included the better. Homework Due Wednesday: Three graphic organizers should be complete in the workbook (see below). These were assigned at an earlier date and should already be completed. Add notes and detail to these organizers. This will help you draft your narrative more easily. Homework Due Thursday and Friday: Page 24, Mid-Unit assessment: Crosswalk between My Hero's Journey Narrative and "The Hero's Journey" Informational text. Essay due on Friday. Classwork, Wednesday and Thursday: Lesson 3: Mid-Unit Assessment. Classwork, Friday: Lesson 3: Establishing a Context for My Hero’s Journey Narrative. Homework Due Tuesday: Work on you Hero's Journey at home. Either continue typing and creating and adding to your story, or work on editing what you have already printed. Homework Due Friday: The final copy of the Hero's Journey Narrative is due Friday morning at 8:00am. Great work, Writers! Classwork, Tuesday: Guest speaker will be joining us for the class. Homework due Thursday: As follow-up to Mrs. Root's Anti-bullying Strategies lessons, students will write a 2-4 page narrative (story) that teaches others how to act when a bully is bothering someone. This is to be written in your writing notebook.